No pets are permitted inside the Stadium at Fredericktown Local Schools Athletic Events. Thank you for your cooperation. The Varsity SB DH vs Pleasant and the JV and Varsity Baseball games vs Lexington scheduled for Saturday, April 20th have been cancelled. The JV SB doubleheader vs Pleasant scheduled for 4/20/19 has been cancelled. The JV SB team will now play on 4/27/19 at Shelby HS. Congratulations to Michael & Jayson Herbst on qualifying for the OHSAA District Wrestling Tournament! The Varsity Boys Bowling Team finished in 5th place at the KMAC Tournament. Justin Zollars earned All-Tournament Team. The Varsity Girls Bowling Team finished in 2nd place at the KMAC Tournament. Leah Staton was the KMAC CHAMPION & Hannah Vaughtn earned All-Tournament Team. The 8th Grade Boys Basketball Team defeated Highland 31-21 to win the KMAC Championship. NICHOLE GROSECLOSE HAS COMMITTED TO FURTHER HER EDUCATION AND RUN CROSS COUNTRY AND TRACK AT WEST LIBERTY STATE UNIVERSITY! The JV/V Boys Basketball game scheduled for Friday, Nov. 30th at home vs Lucas HAS BEEN MOVED to Saturday, Feb. 9th at home at 6:00 PM due to Lucas's run in the FB playoffs. The XC State Meet has been moved from Saturday, Nov. 3rd due to weather conditions of the parking and course...the meet will now take place on Saturday, Nov. 10th. Please see release by clicking here. FHS BOYS XC TEAM--DISTRICT CHAMPS! Paden Spencer won the race with a time of 16:23! Click the link below to find out more information on the Fredericktown Stadium Renovation Project. 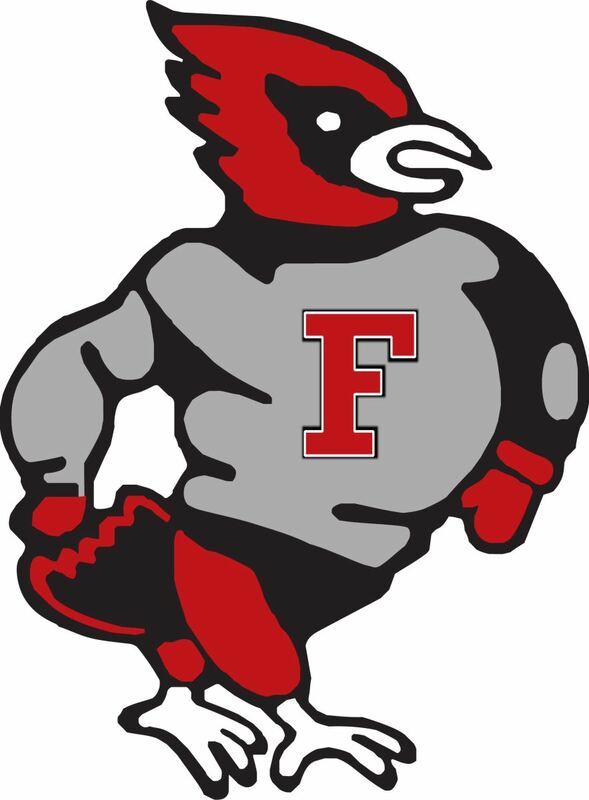 FHS SENIOR CLEM CUNNINGHAM HAS COMMITTED TO MOUNT VERNON NAZARENE UNIVERSITY TO FURTHER HIS EDUCATION & PLAY BASEBALL. Passes are available through the Fredericktown Athletic Department beginning on Thursday, August 2nd. For more information contact FLS Athletic DIrector Nate Bellman at nbellman@fredschools.com or by phone at (740) 694-2726 x3300. SENIOR CITIZENS with the "Golden Age Pass" (60 or over that live in Fredericktown School District & possess this card) will be admitted for FREE. For information on the "Golden Age Pass" please visit the School Board Office. SENIORS CITIZENS (who do not have "Golden Age Pass") who possess the "Golden Buckeye Card" will have $1.00 taken off the Adult admission price. IMPORTANT: The athletic department will continue to use the online system "Final Forms" for our Sport Physical, Emergency Medical Authorization Form, Concussion info, etc. MONDAY, FEBRUARY 11th @ 7:00 PM at Board Office.